The perfect blend of contemporary and traditional, this loveseat will look great alongside a variety of living room decor. 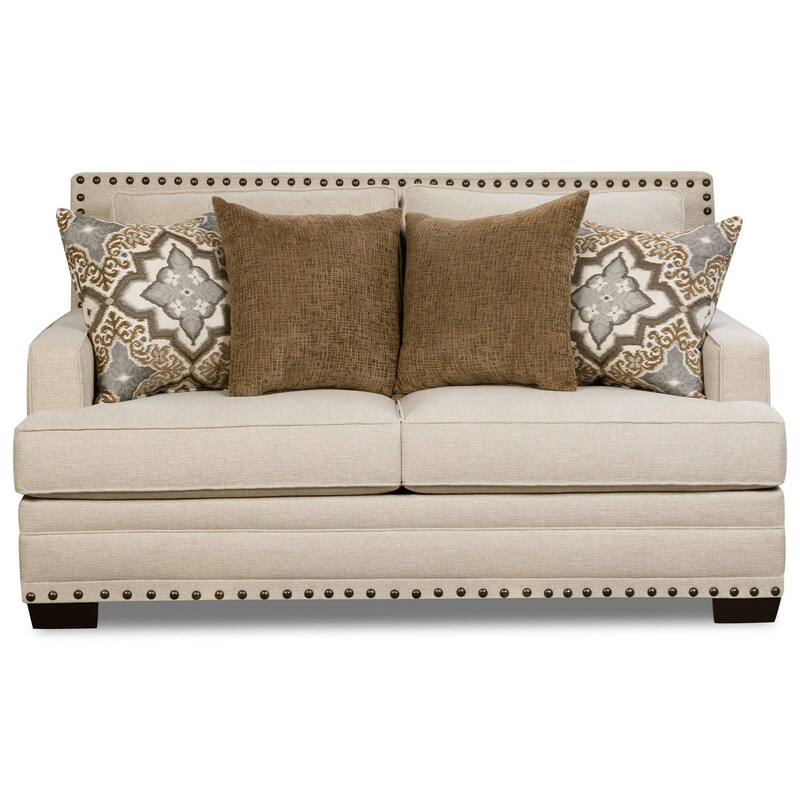 Track arms contribute to the more modern appearance of this piece, while nailhead trim detailing around the entirety of this loveseat gives it its timeless appeal. Included accent pillows and plush cushions offer additional levels of comfort and design to this staple piece. The 34B0 Transitional Loveseat with Nailhead Trim by Corinthian at Miskelly Furniture in the Jackson, Pearl, Madison, Ridgeland, Flowood Mississippi area. Product availability may vary. Contact us for the most current availability on this product.